We are very excited to announce the launch of Entropy's Colossus VR Experience in cooperation with The National Museum of Computing. The new 360 VR Experience will allow users to see and experience the process of Second World War decryption of German High Command messages using the world's first programmable computer, the Colossus. The 2-minute immersive VR experience (available for the HTC Vive, Oculus Rift, and Google Daydream platforms) will transport users to a Second World War briefing room where they will be provided the background to Germany’s most secret and complex encryption device – the Lorenz or ‘Tunny’ – then on to the process of decryption and the development of the massive Colossus machine, devised by Bletchley Park and engineer Tommy Flowers in 1943. 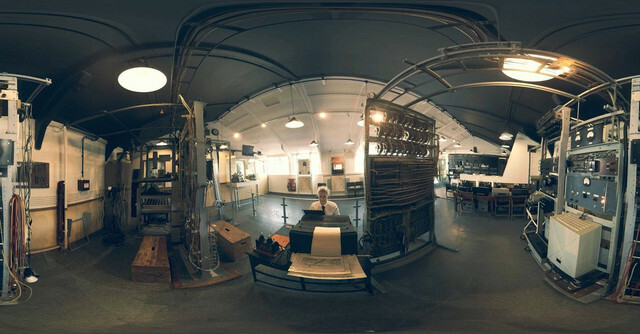 Using a combination of intricate 8K 360-degree video and complex 3D scans of the Colossus and Lorenz machines, the Colossus VR Experience by Entropy represents a significant first step in a multi-phase VR programme to help bring The National Museum of Computing and the history of Bletchley Park to users around the world. To be launched this evening at the The National Museum of Computing’s ‘Re-imagining Colossus’ Event, Entropy will showcase the first Phase of the Virtual Colossus programme with a talk by Entropy CEO, Eddie Vassallo. A few tickets are still available – so don’t miss it! And stay tuned for more info on how to download and experience Colossus in full VR for yourself - and check out Entropy Reality for more info on how our Advanced Reality Action Team is shattering walls in Virtual, Augmented, and Mixed Reality.